Chloe leather tote bag with multicolor logo and striping at front. Flat top handles anchored by rings. 17.7"H x 21.3"W x 7.1"D.
"Vick" is made in Italy. 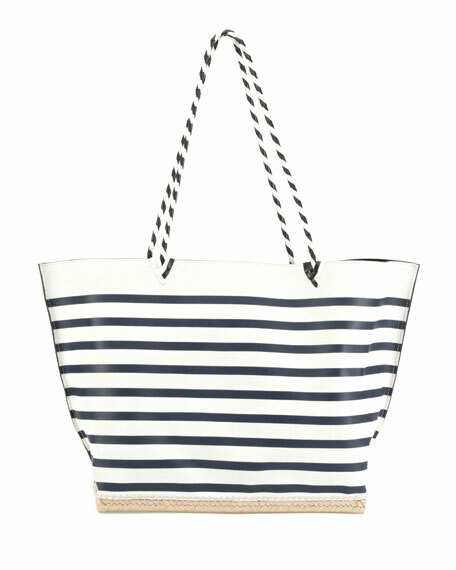 Altuzarra striped calf leather tote bag. Espadrille-inspired braided jute/rubber "sole" at base. Braided shoulder straps, 12" drop. Open top. Approx. 12"H x 20"W x 6"D. Inside pocket. Made in Italy. 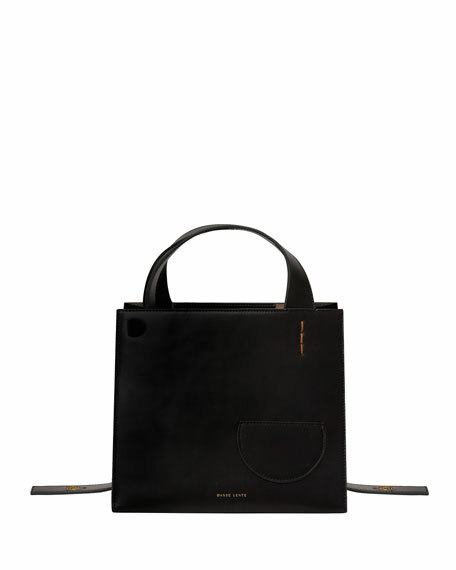 Danse Lente tote bag in soft calf leather. Adjustable shoulder straps, 12" drop. Open top. Exterior, cutout and 3D logo detail. One interior pocket; cotton lining. 8.3"H x 9.5"W x 8.6"D. "Margo" is imported. 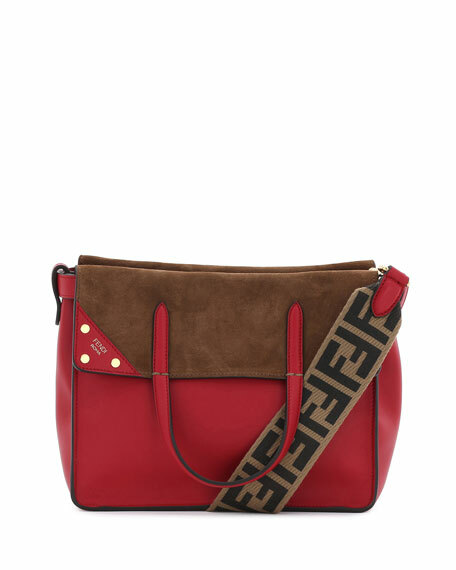 Fendi small tote bag in smooth leather, suede and FF-embossed fabric. Fold-over flat top handles. Removable shoulder strap. Open top with magnetic closure. Approx. 8.1"H x 10"W x 4.9"D.